Cloudy. High 57F. Winds N at 15 to 25 mph..
Hadley Garden Inn provides luxurious stays for guests. Owners of four Webster Groves short-term rental establishments meet regularly to share ideas. 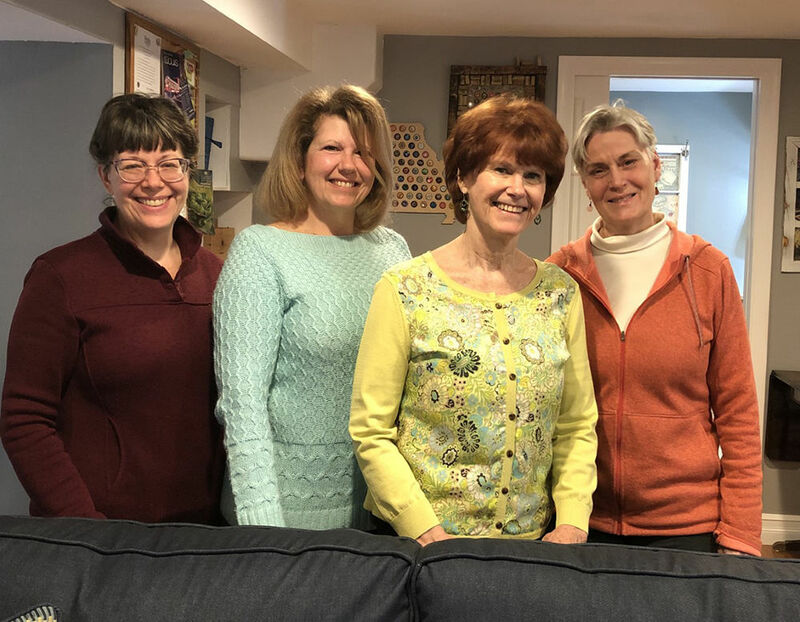 From left: Maureen Elliott, Tuxedo Park STL Bed & Breakfast Inn; Debbie Hadley, Hadley Garden Inn; Marian Clanton, Old Orchard Airbnb; and Peg Pedersen, Peg’s Place Airbnb. Old Orchard Airbnb, provides luxurious stays for guests. Tuxedo Park STL Bed & Breakfast is listed on the National Register of Historic Places. Peg Pedersen’s Peg’s Place Airbnb offers a private suite complete with a bedroom, bathroom, living room and kitchenette. The quaint community of Webster Groves features a unique group of four short-term rental establishments, often referred to as bed and breakfasts. The owners of each establishment have formed a club to build relationships and rapport with one another. 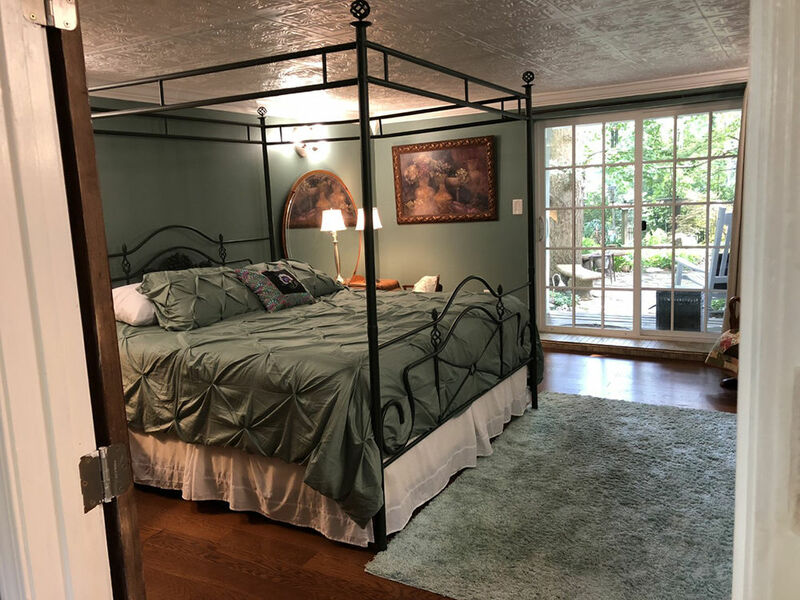 The four establishments are: Hadley Garden Inn owned by Debbie and Bob Hadley; Old Orchard Airbnb owned by Marian and Gary Clanton; Peg’s Place Airbnb Private Suite owned by Peg Pedersen; and Tuxedo Park STL Bed & Breakfast Inn owned by. The club’s formation happened naturally. The four owners happened to hear of each other opening local short-term rental establishments all within the same few years and called one another to connect over their newfound occupations. The group was officially pulled together by Peg Pedersen, the first of the four to open her establishment. Marian Clanton had previously opened a bed and breakfast, but it closed for two years before reopening as Old Orchard Airbnb. The four women aim to meet monthly. For topics that naturally arise between meetings, they email back and forth throughout the month. The meetings often consist of bouncing ideas off one another, sharing experiences and knowledge and discussing what’s going on with their business. They also collaborate to make sure each individual can become a member of the chamber of commerce and how the four of them can create a cohesive presence that is beneficial to the group as a whole. All four establishments and their owners work together to complement one another, with each person bringing different schedules, connections, backgrounds, experiences and ideas to the table. Since each bed and breakfast is unique in its own way and offers different benefits along with different schedules, the group often refers guests to one another to create the best mutual fit for the guest and the host. Peg’s Place Airbnb can host a single visitor or a couple with a private suite complete with a bedroom, bathroom, living room and kitchenette. Old Orchard Airbnb offers a large bedroom space with an antique feel and private accommodations. It is located near parks, restaurants and Webster University. Hadley Garden Inn can accommodate one couple or a small family in an upscale private suite that leads out to a large, beautiful garden. Tuxedo Park offers the full bed and breakfast experience and is able to accommodate families with multiple bedrooms and common gathering spaces. While all the establishments are uniquely different, all the owners are united by their loyalty to Webster Groves. They are all long-time Webster Groves residents who are looking to serve and positively reflect on their community through their business. The city has put specific rules in place for those who own short-term rentals, such as that the owner of the establishment must be on site while guests are staying on the property, which they all appreciate. Being long-term residents in the area also makes the owners have added respect for and knowledge of the Webster community, which they are able to share with their guests. There are no hotels in Webster Groves, so this collection of bed and breakfasts fills the gap for those who want to visit Webster specifically – whether it’s to be in a quiet and safe community, enjoy the natural beauty and history in Webster, avoid the noise and traffic downtown, see local family, or visit students at Webster University.